Science and Technology Center APM was formed on the basis of the Innovation Division of the Moscow State Technical University. NE Baumann in 1992. From that moment APM R & D Center is developing computer systems engineering analysis (CAE) for Russian and foreign companies, machine-building, instrument-making and building profile. We develop software in the field of CAD covers the entire spectrum of dynamics, strength, continuum mechanics, thermal physics and other engineering disciplines necessary for the creation of modern machines, instruments, metal and building structures for various purposes. This high-tech software developed with the use of effective methods of modern mathematics, numerical analysis, engineering disciplines, as well as using the latest advances in the field of programming and computational mathematics. These software tools make strategic science-based technology for the country, which for many years had to be imported from abroad. Development of STC APM helped to raise the prestige of the Russian Federation as a developer of complex computational systems engineering analysis, imported earlier, and created conditions for import of strategic technologies in this field. We offer computer analysis tools are particularly relevant for the defense enterprises, companies in the Russian Federal Space Agency , Rossatom , Russian Technologies , and many other components of the Russian economy base. 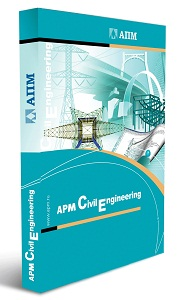 The company created two lines of software: CAD / CAE system of automated calculation and design of mechanical equipment and structures in the field of mechanical engineering APM WinMachine and CAD / CAE system of automated calculation and design of structures for industrial and civil construction of Civil Engineering the APM . Software R & D Center APM is successfully used by more than 1000 enterprises of Russia and the countries of near and far abroad, in a variety of industries. About 400 technical colleges are preparing students with the use of our software. • carried out expert work in connection with the destruction of dozens of different objects. • technical expertise of dozens of overpasses, bridges, and crossovers highway Adler - Alpika Service (Krasnaya Polyana) (for the Sochi Olympics in 2014); etc. 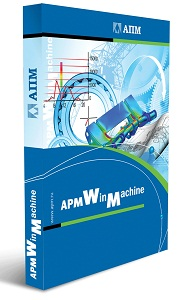 With APM WinMachine our experts and designers of other organizations are designed and tested for strength, endurance and stability of hundreds of engineering constructions and APM Civil Engineering is used in the design of industrial and civil construction. Given the effectiveness of scientific research carried out by their depth and practical significance, the company STC APM by unanimous decision of the leading Russian and foreign experts received the status of a resident of "Skolkovo" innovation center. Status resident Skolkovo obtained after the substantive analysis of the contribution of 10 experts, 5 of which are the largest foreign experts.